Sheila Dillon looks at a company bringing unique flavours to the tea table, and asks what the tea mass market has to offer. Speciality teas are the biggest growth area in the fairly static tea sector, as tea drinkers go in search of more interesting flavours, and stories. Sheila Dillon asks what's driving this growth, and finds out what is on offer both in the mass market and the speciality tea companies, including The Rare Tea Company. The British are second only to the Irish in the amount of tea they drink but Henrietta Lovell wasn't convinced they were getting a decent cuppa, so set up the company to bring 'the good stuff' to the nation's mugs, including a surprising new tea from Malawi. 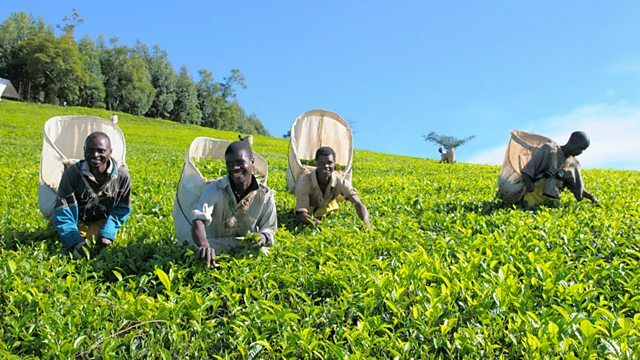 African tea is traditionally regarded as low quality commodity tea best used in blended teabags, and lacks the cache of China tea or Indian Darjeeling. Henrietta has been working with a third-generation Malawian tea producer to bring a single estate 'gourmet' tea to the market, fit to rub shoulders with traditional premium teas. Sheila is joined in the studio by Bill Gorman from the UK Tea Council, which represents all the major tea brands in the UK, and Edward Eisler, founder of internet-based Jing Tea. A collection of programmes relating to tea.